For the first time in Dota history, Mumbai will welcome players, talent and fans for an entire weekend of Dota 2 action from April 19th to 21st live at ESL One Mumbai 2019! Prepare yourself for the first ever big esports event in the City of Dreams featuring awesome live matches on the big stage, fun fan activities, signing sessions with the teams, our famous cosplay contest and much more! 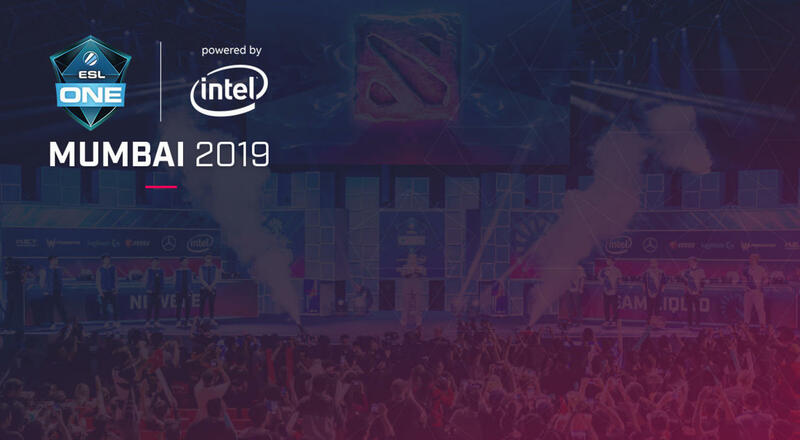 ESL One Mumbai 2019 will see eight of the world's best Dota 2 team battling it out for a spot on the big stage at India's first ever big esports stadium event and $300,000! Q: What even is ESL One Mumbai? A: ESL One Mumbai 2019 is the first ESL One in India. For the first year, we will be coming to Mumbai to the NSCI Dome/ Stadium where 12 of the best DOTA 2 teams will attend the group stage to make their way to the playoff - to play in front of you! Sounds great, right? Q: Is there a minimum age requirement to be able to attend? Q: Okay no problem, but do tickets have fixed seating? A: You may choose any seat in your ticket level. Our Premium guests have the best seats in the house and sit right in the middle of the player walk-in. Q: Can a person with a higher ticket level sit in a lower ticket level? A: Keep a lookout for our open qualifiers on the site. Q: Which teams are coming? Q: Sounds fun! Does my season ticket grant me access on all three days? A: Of course! All ticket types except single day tickets grant you access to ESL One Mumbai 2019 on Friday 19th, Saturday 20th and Sunday 21st of April. Q: Are there any side activities? A: Yes. We have a lot of them in our partner booths. Q: Even more important...can I buy merchandise at the arena? A: Yes, of course! There is going to be an ESL Shop where you can get team merchandise and esports apparel. Q: Can I bring a backpack to the arena? A: The arena doesn’t allow big bags inside the venue that exceed A4 format and all bags need to be searched at the entrance, which could cause delays getting people into the Arena. Q: Can I bring my camera to take photos during the Event? A: Please also note that only point and shoot, or action cameras can be brought into the arena. Cameras with interchangeable lenses and DSLR cameras are not permitted. No drones are allowed. Not even micro ones. Taking photos with your smartphone is, of course, allowed! Q: Can I bring food into the arena? A: No food items and drinks from outside are allowed inside. Q: But what am I going to eat and drink? A: There is a variety of food stands and vendors directly inside the arena and you may even take your meal directly to your seat. Alternatively, you can also exit the arena and have your lunch or dinner outside the stadium and then re-enter. Q: Oh, so I can leave and re-enter the NSCI stadium? Awesome! A: Sure, once you have a wristband, you can leave and re-enter as many times as you want. Last re-entry is during the last match of the day though, so make sure to come back. Q: What if I lose my wristband? A: Then you need to buy a new ticket. A: No, they are not but you can give your ticket to a friend. The name on the ticket doesn't matter. Q: uhm...and what if I can't come? Can I give my ticket to a friend even though my name is on the ticket? A: Yes, don't worry! The name doesn't have to be changed and you can give your ticket to your friend without any problems. Q: What if I bought a cheaper ticket/ single day pass. Can I buy an upgrade? A: Upgrades are not possible. Q: What can I NOT bring with me to ESL One?